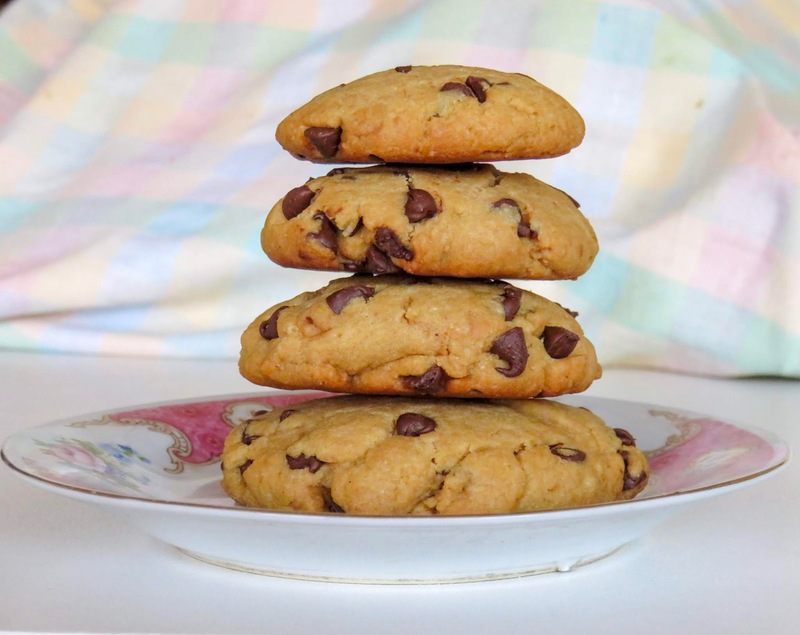 Want thick and delicious vegan peanut butter chocolate chip cookies? 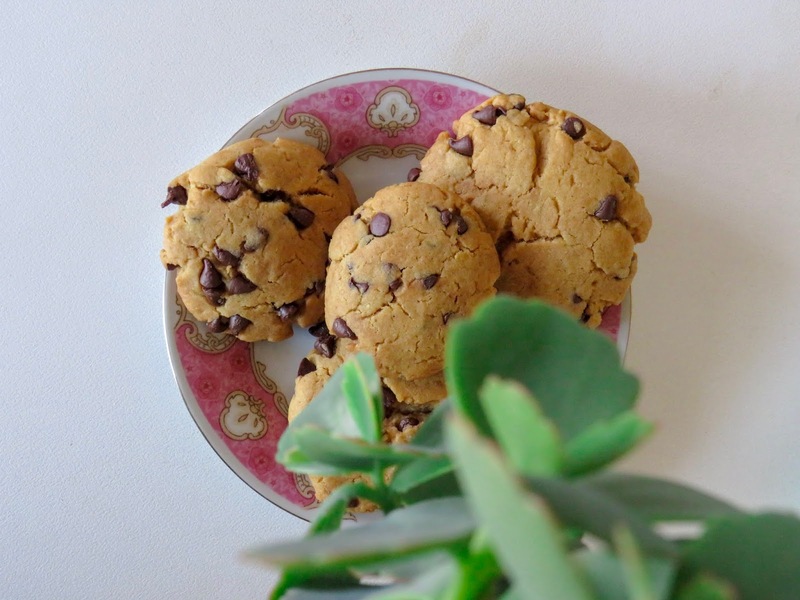 Well, these vegan cookies are crispy on the edges, soft in the centre and loaded with peanut butter flavour and chocolate chunks! Delicious for those snacks! Start by adding the vegan butter with the white sugar to an electric mixer and cream them together. Then combine in the peanut butter and vanilla and mix together until well combined. In a separate bowl, mix together the flour, baking soda and salt. Next, add in the wet ingredients and mix in with a spoon until you reach a thick crumbly dough. Add in the soy milk, only as much as needed to get to a thick cookie dough (as pictured) that is able to roll into balls. Add in your chocolate chips or chunks and mix in. Preheat the oven to 190°C. Roll into big balls and place onto a parchment lined baking tray. Bake them for 15 minutes until the tops are golden brown. The middles will still be very soft, this is fine, they will firm up as they cool.